The Global Volcanism Program has no activity reports for San Jorge. The Global Volcanism Program has no Weekly Reports available for San Jorge. The Global Volcanism Program has no Bulletin Reports available for San Jorge. 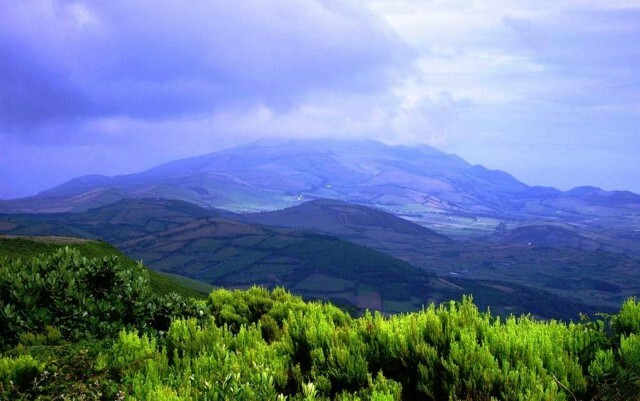 The remarkably linear island of San Jorge (Sao Jorge) is 54 km long and only 5 km wide. It was formed by fissure-fed eruptions beginning in the eastern part of the island. The western two-thirds of dominantly basaltic San Jorge contains youthful, fissure-fed lava flows resembling those on neighboring Pico Island. Subaerial lava flows issued from three locations above the south-central coast during 1580, producing lava flows that reached the sea. In 1808 a series of explosions took place from vents along the south-central crest of the island; one of these fed a lava flow that also reached the southern coast. Submarine eruptions were reported on several occasions from vents off the southern and SW coasts. Forjaz V H, Fernandes N S M, 1975. Geologic map of Ilha de San Jorge (Azores). Servicos Geologicos Portugal, 1:50,000 scale map with 32 p text (in Portuguese). There is no Deformation History data available for San Jorge. There is no Emissions History data available for San Jorge. A Space Shuttle image with north to the upper left shows the remarkably linear island of San Jorge (Sao Jorge), which is 54 km long and only 5 km wide. The NW-SE-trending island was formed by fissure-fed eruptions. Historical eruptions in 1580 CE originated from three locations above and to the east of the coastal town of Velas, the small light-colored area along the SW coast (bottom left side), producing lava flows that reached the sea. Submarine eruptions were reported on several occasions from vents off the southern and SW coasts. NASA Space Shuttle image ISS004-E-10891, 2002 (http://eol.jsc.nasa.gov/). Pico da Velha is seen in this view of the interior of the island of San Jorge. 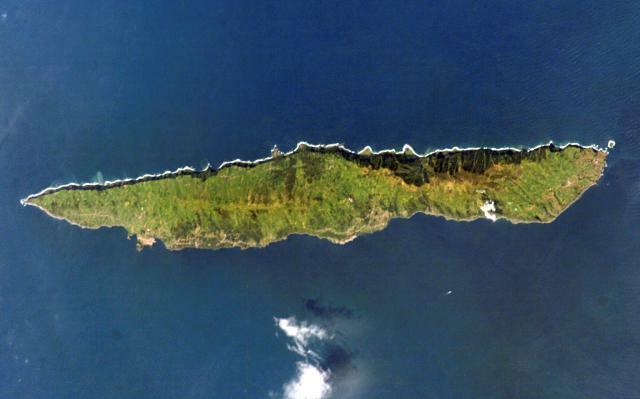 The remarkably linear island (also known as Sao Jorge) is 54 km long and only 5 km wide. It was formed by fissure-fed eruptions beginning in the eastern part of the island, and the western two-thirds of the island contains youthful, fissure-fed lava flows resembling those on neighboring Pico Island. Historical eruptions have produced lava flows that reached the sea, and submarine eruptions were reported from vents off the southern and SW coasts. The Global Volcanism Program has no maps available for San Jorge. There are no samples for San Jorge in the Smithsonian's NMNH Department of Mineral Sciences Rock and Ore collection. Large Eruptions of San Jorge Information about large Quaternary eruptions (VEI >= 4) is cataloged in the Large Magnitude Explosive Volcanic Eruptions (LaMEVE) database of the Volcano Global Risk Identification and Analysis Project (VOGRIPA).